To halt deforestation and reverse degradation of the Kijabe Forest by improving forest management and working collaboratively with local communities. 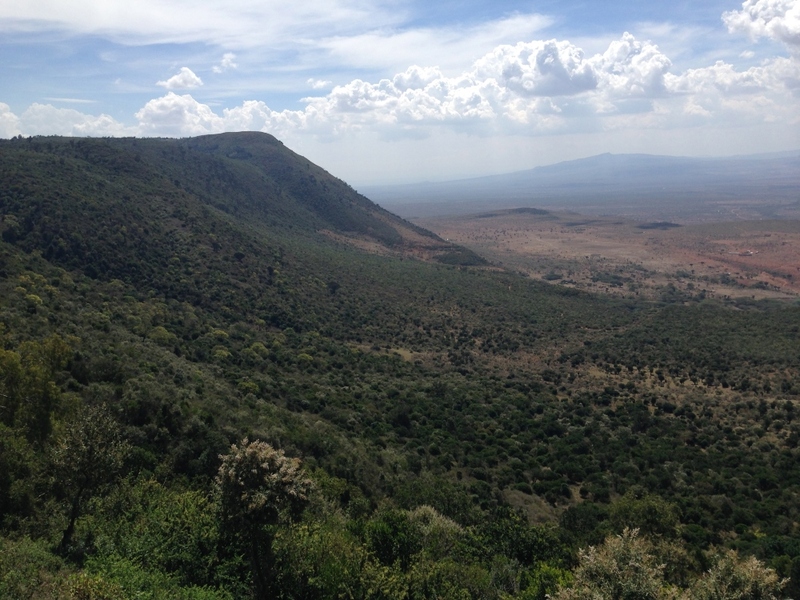 As part of the eastern Afromontane biodiversity hotspot, this dry upland forest is home to a wide array of flora and fauna and is a key transition zone between the mesic upland forests and the drier savannah ecosystems of eastern Africa. Straddling the eastern wall of the Great Rift Valley, the altitudinal variance of roughly 1,000 metres is reflected in floral communities. Key species for conservation include East African sandalwood, African olive, and African pencil cedar. Additionally, a wide variety of mammals, reptiles and birds have been recorded, including larger mammals such as leopard, spotted hyaena, Maasai bushbuck, suni, eland, honey badger, aardvark, and black and white colobus. 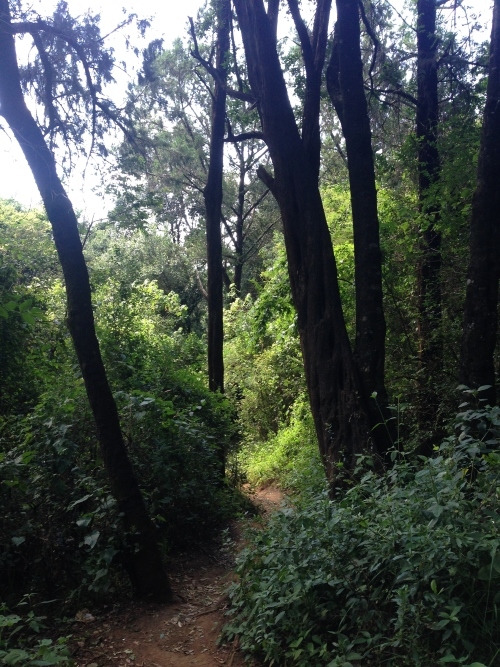 Kijabe Forest is part of the Kikuyu Escarpment Forest Important Bird Area, designated by Birdlife International. The forest also provides significant ecosystem services to surrounding communities. 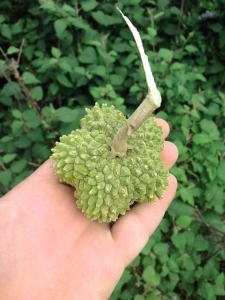 These include hydrological services to an estimated 200,000 people in the catchment area, as well as carbon cycling, soil stabilization, and forest products such as fuelwood, seeds, and honey. 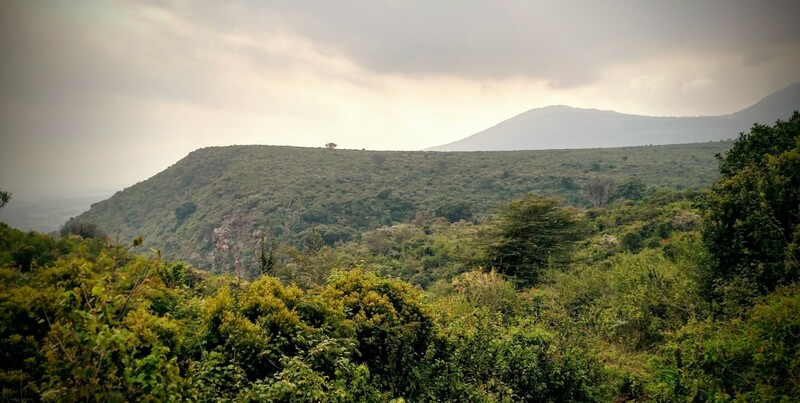 The Kijabe Forest is part of the eastern Afromontane biodiversity hotspot and was historically connected to the Kikuyu Escarpment Forest Reserve. 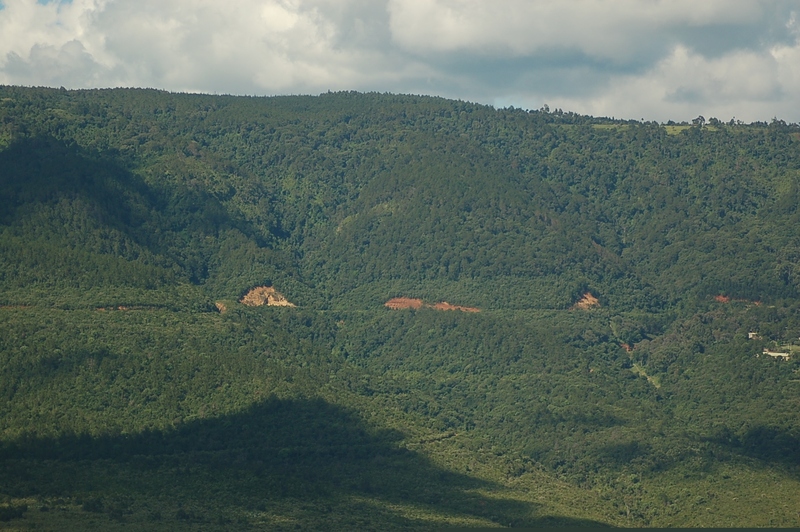 However, the Kijabe Forest strip has become geographically isolated due to encroachment, resource pressures, and land use change. 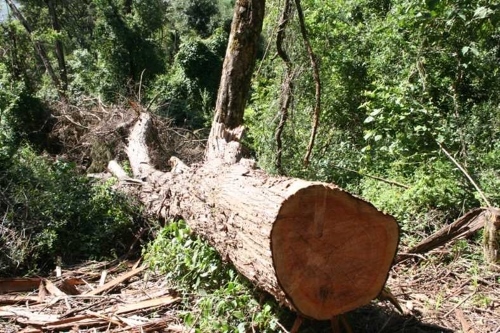 Kijabe Forest falls under the management of the Kenya Wildlife Service, but due to geographic and financial constraints, the forest has largely been unmanaged for the past three decades. 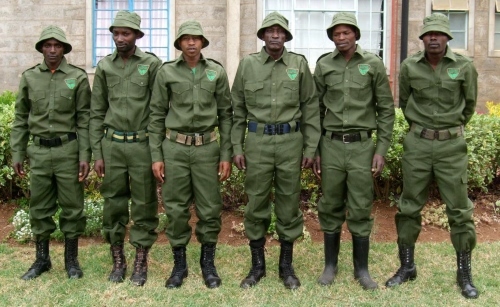 A total of 12 rangers comprising two teams of 6 were hired and equipped, with each team having a GPS and camera phone with the WILD app that enables them to record observations and patrol routes. 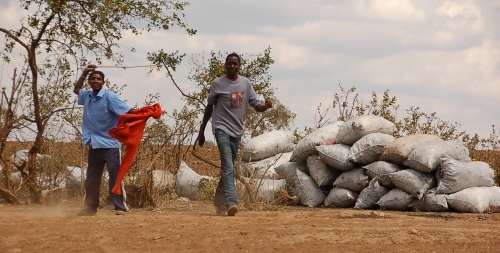 Over 2300 km were patrolled by foot, illegal cedar post harvests were seized, and 7 arrests made by the authorities. 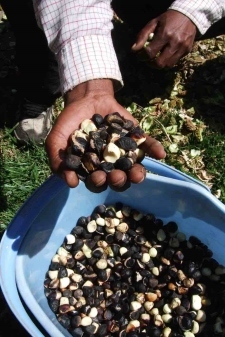 Over 1000 indigenous seedlings were planted in severely degraded areas. Camera trap recordings and foot patrol sightings in 2017 reveal a substantial prey base and Kijabe forest’s value as a corridor between other larger forest tracts. Roughly 5,000 hectares of primary forest reserve, which serves as a critical water catchment area for several growing communities. 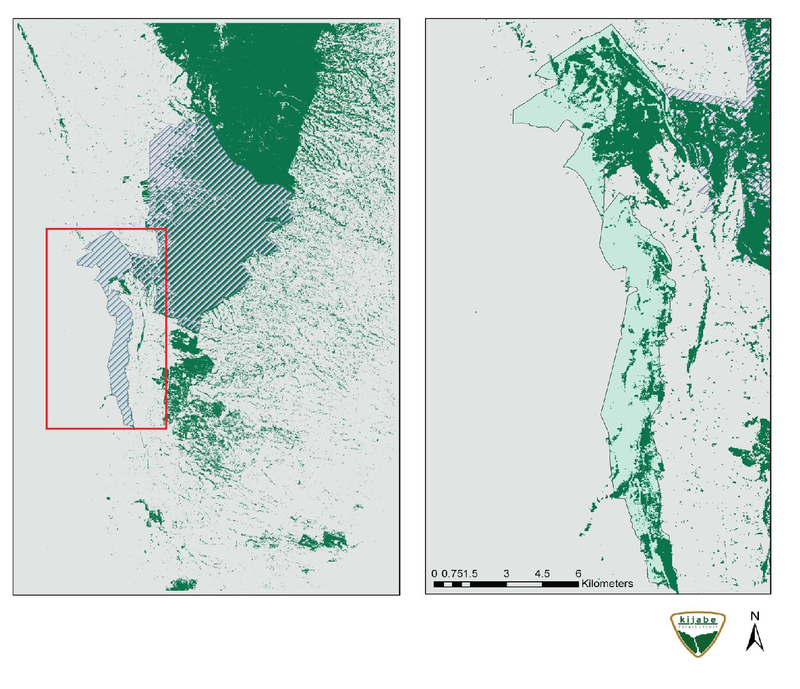 Location of Kijabe Forest in Kenya, and (to right) two maps showing the reserve. 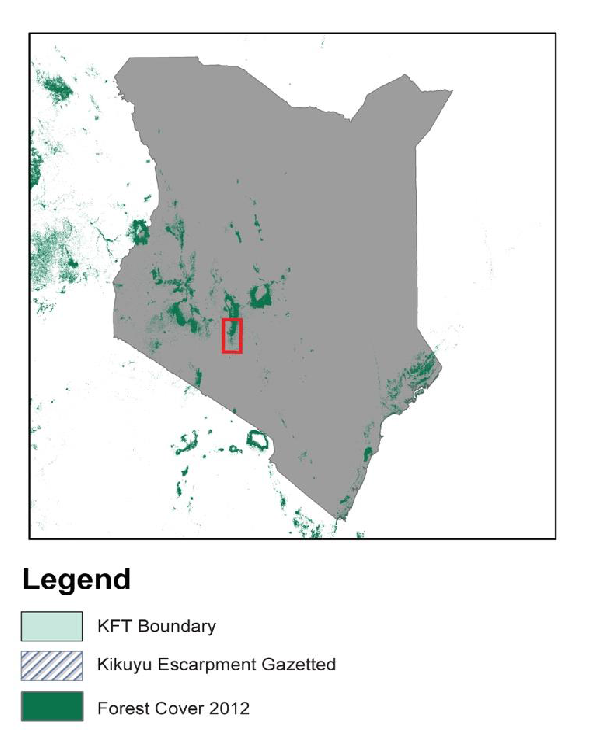 The image to the far right shows the boundaries gazetted by the Kenya Forest Service, as well as total forest cover in 2012. 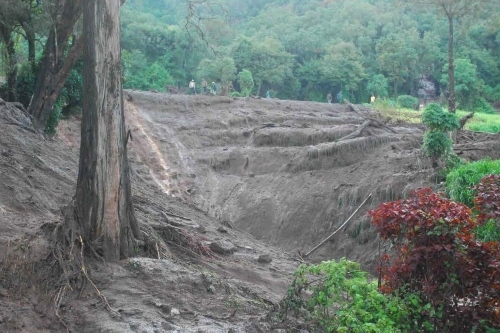 The landslides of 2013 devastated communities and cut off access to Kijabe Hospital. 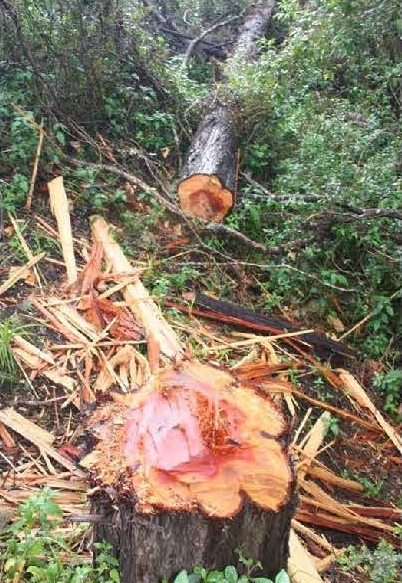 Demand for cedar posts is another driver of deforestation.